Place the Thinplate in the battery cover or the phone case of your Smartphone. 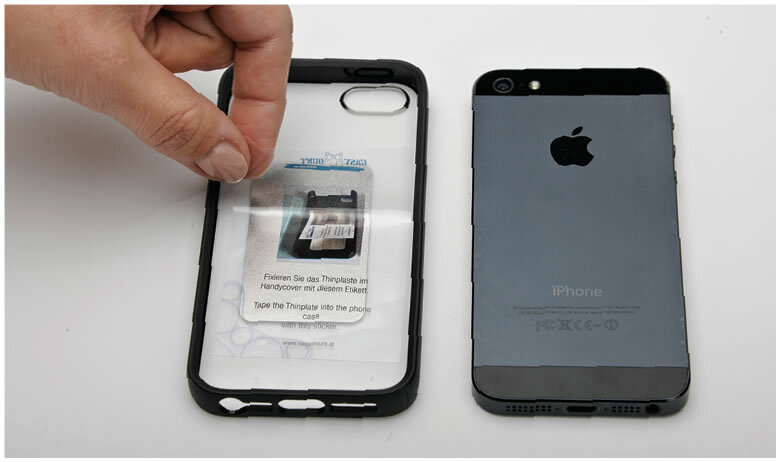 We recommend to fix the Thinplate with the supplied adhesive strips in the phone cover, to prevent slipping. 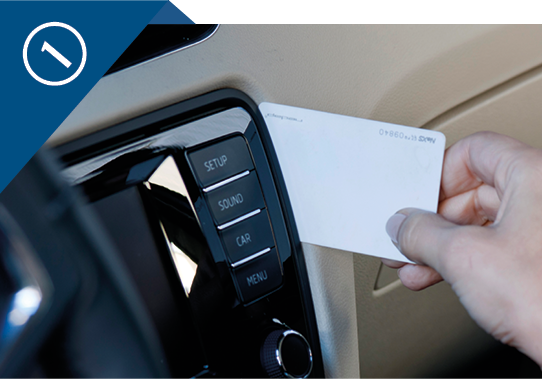 Look for a seam in your dashboard- If it is possible to push a . plastic card at least 0,5inch (1cm) in the seam you are , ready to install Mag’N’Mount Classic. Use the mounting wedge and push the Mag’N’Mount Classic into the seam like you did it before with the plastic card. After installation remove the mounting wedges. 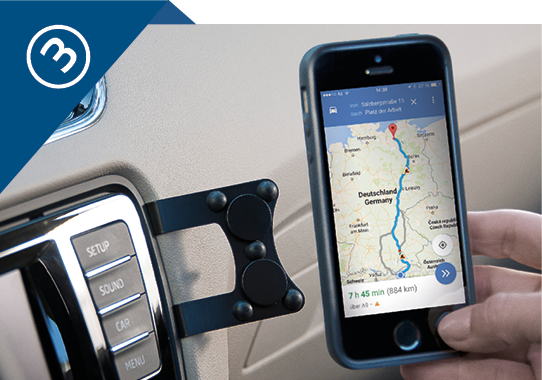 The Mag’n’Mount brackets are strong enough to hold any mobile device. Our product test determined a holding forceof 2.2lbs. However, we do not recommend mounting a device with a screen diagonal greater than 7″ and a weight greater than 0.68lbs. 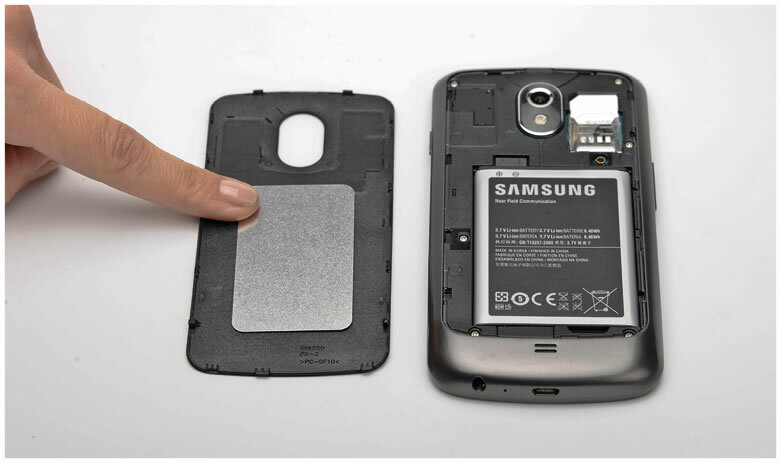 Please note: The holding force depends on the thickness of the battery or phone cover. 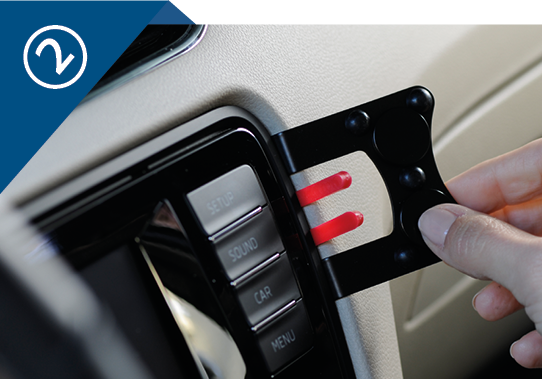 If the holding force is not strong enough, we recommend using 2 Thinplates.